Earth is a stage. 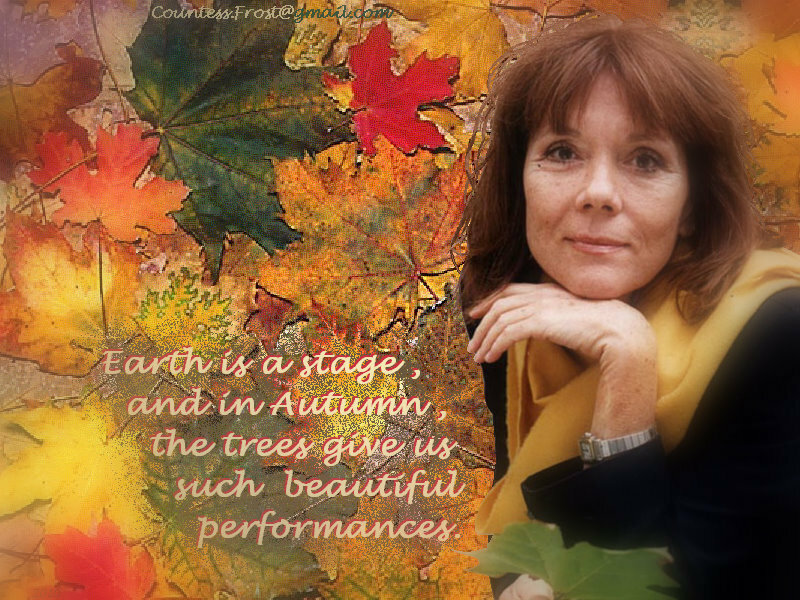 "Earth is a stage" - a Diana Rigg Hintergrund created Von TheCountess. HD Wallpaper and background images in the Diana Rigg club tagged: diana rigg actress stage screen fan art wallpaper jigsaw puzzle thecountess autumn. This Diana Rigg wallpaper might contain zeichen, plakat, text, tafel, schilder, and poster. this is soooo pretty, Brava!